Bring your favorite fairy tales and childhood movies to life with these felt pieces! 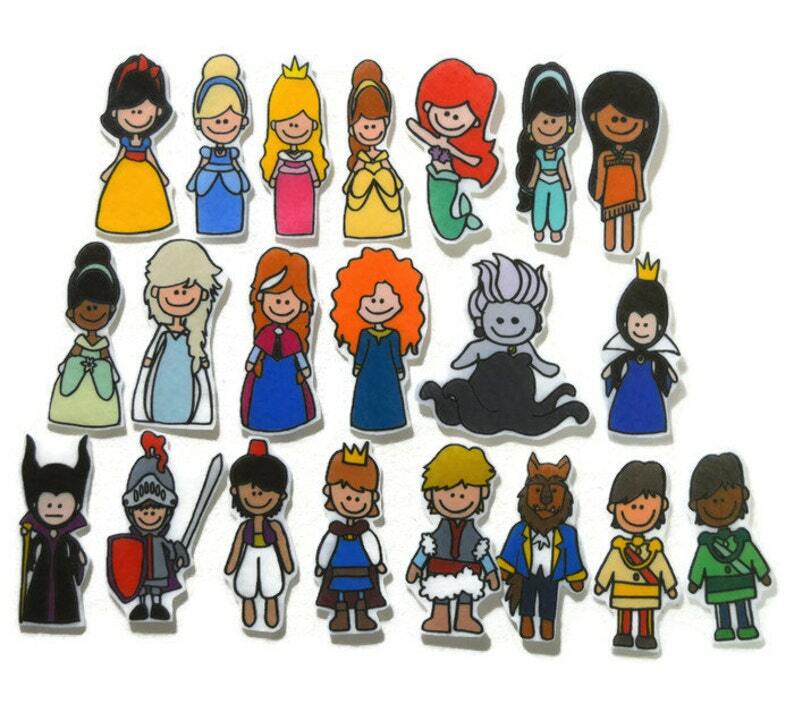 This set includes 21 pieces, including princesses, princes, and villains. The regular size set (about 3 inches) is perfect for small/medium felt boards. But if you are looking for larger pieces for a bigger board or large group, the extra large set (5 inches) is also available. These pieces are made of felt and will stick to felt or flannel.